Stagnation means decline. This is an unwritten law of nature which every manufacturer needs to take into account and something Sony most definitely takes into consideration. 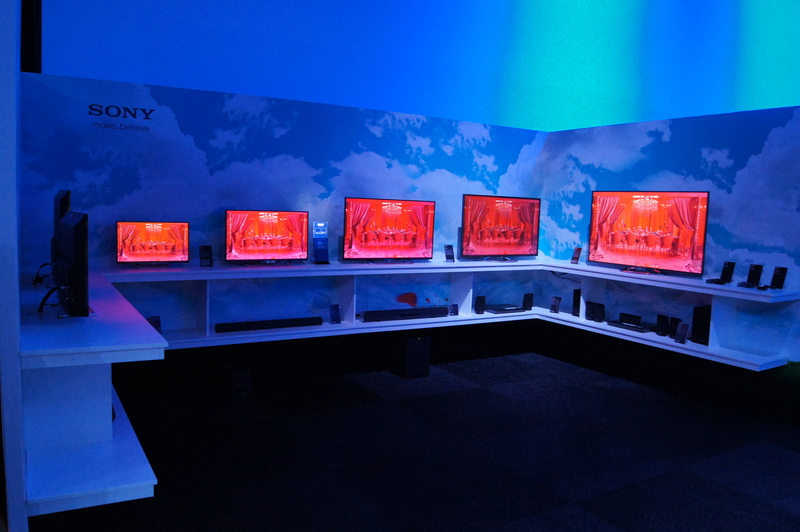 It was once again Sony’s turn to showcase its line-up for the forthcoming months to the press and wholesalers in February. The Sony Dealer Days were mainly focussed on the Xperia™ Tablet Z, which managed to attract the most attention as a result of its water resistant construction and super strong glass display. 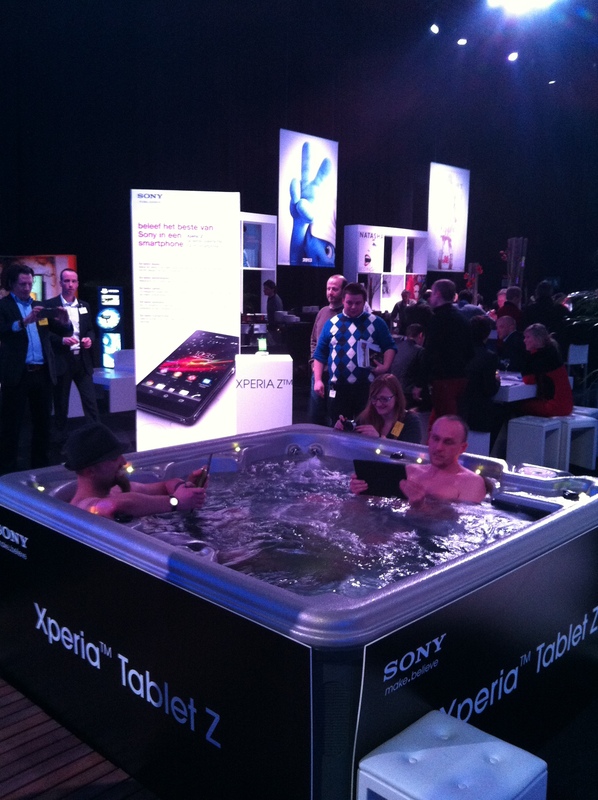 A jacuzzi was installed for one evening, in order to prove the Xperia Tablet is indeed water resistant, whereby the guests, together with their tablets, were invited to tweet whilst in the jacuzzi. Another major show stealer was the Action Cam. 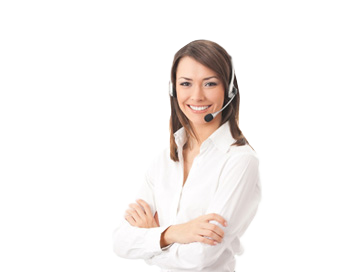 Action Cam is light and sustainable and ready to capture all the excitement. Untouched powdery snow. Breaking waves. Busy streets. All details can be beautifully captured with the powerful Carl Zeiss lens. 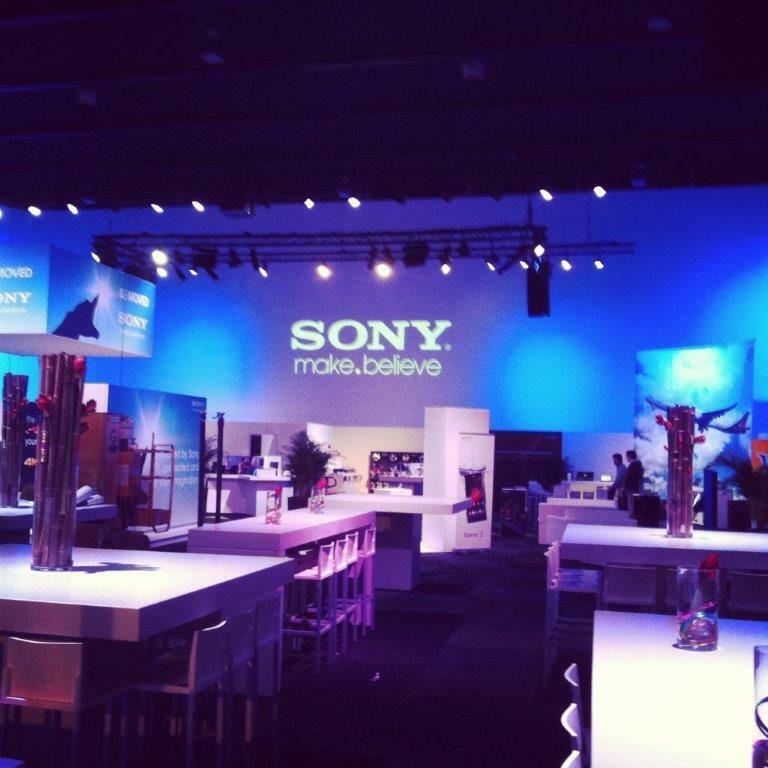 Days like these are all about hard work, but there is always a fantastic atmosphere amongst the Sony colleagues. The last day of the exhibition was concluded with a fabulous after-party, which also saw people taking to the floor to do the harlem shake, the popular hip-hop dance. 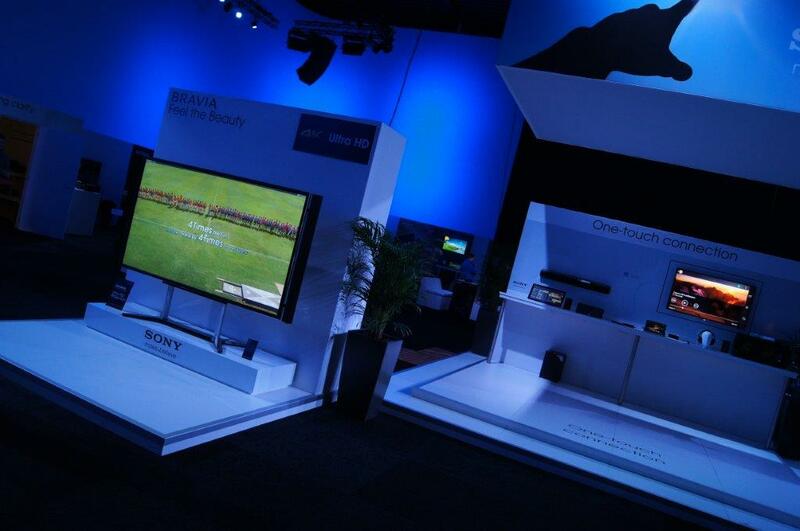 The Sony Dealer days at The Event Lounge were once again a big hit this year. 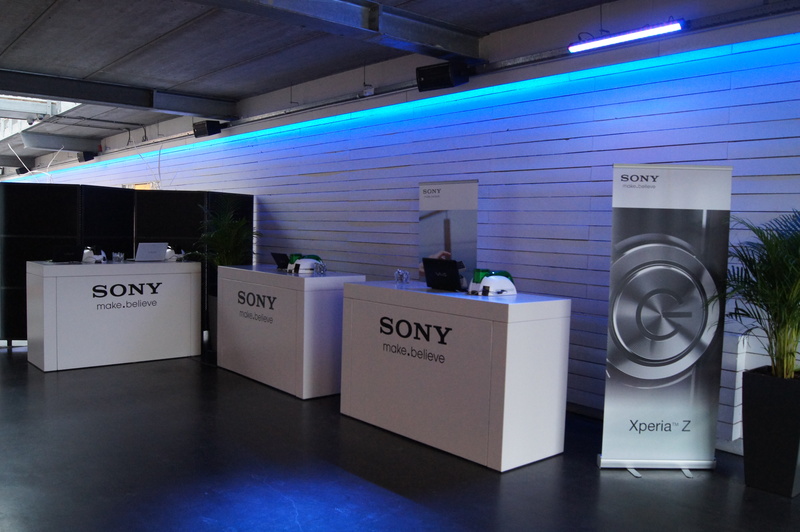 The Sony standards and products were beautifully brought to life in The Event Lounge’s very versatile 1200m² studio. Sufficient room was also left over to create a cosy catering corner, where all the guests were spoilt with culinary delights prepared by the caterer Guillaume van Eeckhout. In short, an overwhelming success!